The final ceremony of the Premio Archiemde 2012 took place on the 29th of September at the Istituto d’Arte Guggenheim of Venice. Once again the event was a great success and has been a really wonderfull way to remember and honour Alex Randolph, the “Master” of game authors, to whom this event is dedicated. The number of prototypes that took part in it, came mostly from Italy but also from many other countries, and reached an all-time record with 146 games registered. The exhibition presented the 66 games admitted to the final. Any kind of game was to be seen: strategy games, luck games, abstract games, simple games, complex games, all of them very special and original, with a quite high average quality. The final ceremony was full of suspence, with the nomination of the TOP 15 (the 15 games admitted to the very final), the live voting of the international jury and the official counting. 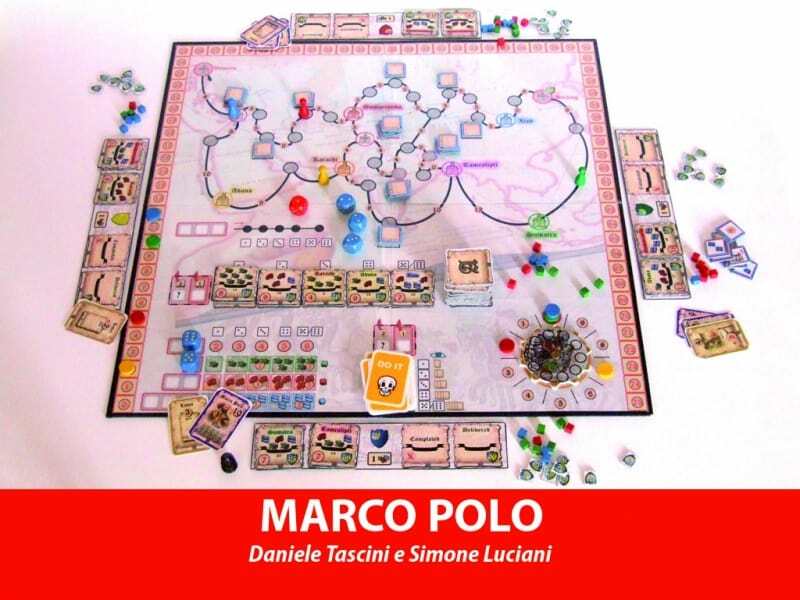 And finally the winner was Marco Polo by Daniele Tascini and Simone Luciani, presented by the jury with these words: “Following the great explorer’s path, one has to conclude the most convinient contracts, using in the best way as he can the dice to choose his actions.” Simone Luciani also made it to the second place together with Paolo Mori, with the game ROMANESQUE. The third place went to BEEKEEPER by Nestore Mangone. The first three places received also a special prize from Niek Neuwahl on behalf of the J.P. Halvah Foundation, created by Randolph with the purpose of helping emerging game authors. To be mentioned also the Special Prizes: the Sebastiano Izzo Special Prize went to IL GIOCO DI NALA by Furio Honsell (Udine’s Mayor and also president of the GioNa association) and the Focus Brain Trainer Special Prize to TERRA4MARS by Giuseppe Roncari and LordMax. The international jury’s work has been really admirable: Niek Neuwahl, the president, Michael Bruinsma (Phalanx, Netherlands), Bernd Brunnhofer (Hans im Glück, Germany), Silvio De Pecher (la tana dei Goblin, Italy), Dario De Toffoli (studiogiochi, Italy), Mauro Gaffo (Focus Brain Trainer, Italy), Uwe Molter (Amigo, Germany), Philipp Sprick (Ravensburger, Germany), Dieter Strehl (Piatnik, Austria), Albrecht Werstein (Zoch, Germany). Incredibly supportive and important was the work of the selection jury, chaired again by Niek Neuwahl, with Giuseppe Baggio, Alfredo Berni, Leonardo Colovini, Carlo A. Rossi, Alessandro Zucchini and the work done by the staff members for the website, secretary and graphics (Giulia Franceschini, Giorgia Marchesin, Elisa Marzorati, Rossana Nardo, Dario Zaccariotto and Fabrizio Berger). 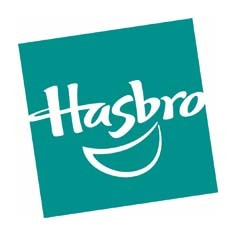 Special thanks also to the Istituto d’Arte Guggenheim of Venice, the J.P Halvah Foundation and the Musée suisse de jeu (where the best finalists will be exposed) which contributed together with studiogiochi to the organization of the Premio Archimede 2012; the companies 999 Games, Amigo, Cartamundi, Hans im Glueck, Hasbro, IDG, La tana dei Goblin, Lego, Piatnik, Ravensburger, ScriBabs, Zoch; the official magazine for the Premio Archimede 2012 Focus Brain Trainer; Ares, Clementoni, DV Giochi, Oliphante, Spielmaterial for all the boardgames and puzzles offered as prizes for the finalist authors. Here we are! 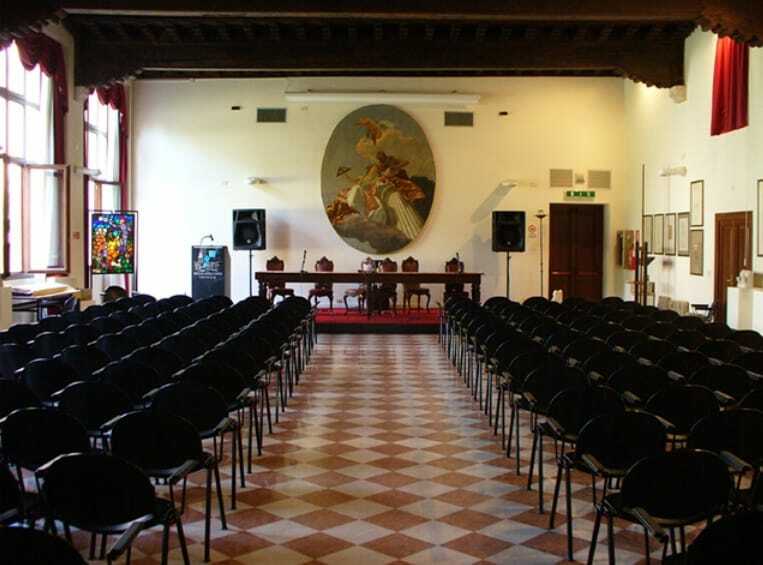 In a few days, on Saturday the 29th of September the Final Ceremony of the Premio Archimede 2012 will take place. This year 146 games made by italian and International authors took part in it. 66 of these made it to final and among them about 15 will be selected for the very final and judged by the international jury. All the game authors (finalists and not finalists) may meet Leo Colovini and the other members of the jury to receive information and advice about their creations. Don’t miss it: it’s an opportunity to meet people, exchange ideas, have a great experience and become friends! Good luck to everybody! 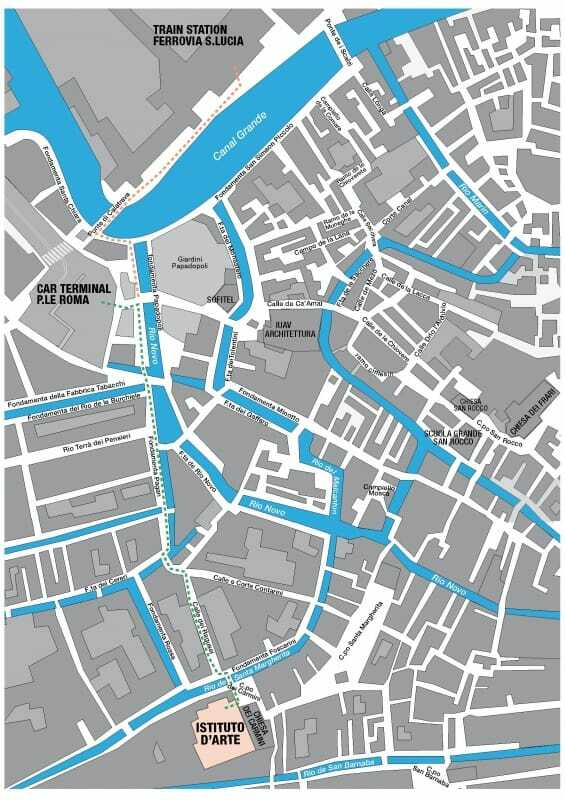 We are looking forward to see you at the very final on September 29 at the Istituto d’Arte Guggenheim of Venice (see the map)! 146 prototypes at the Premio Archimede 2012: it’s a record! We have a new record for the games participating to the Premio Archimede 2012! The 146 prototypes taking part to this year’s competition, most of them coming from Italy but also from Germany, France, Poland, Turckey, United States, Australia and japan beat the 141 prototypes record of the 2010 Edition! The selection jury is already working hard, in order to choose the games that will make it to the finals. It is a difficult task and somehow sad, because the average quality of the games is quite good, and some hard choices will have to be taken. 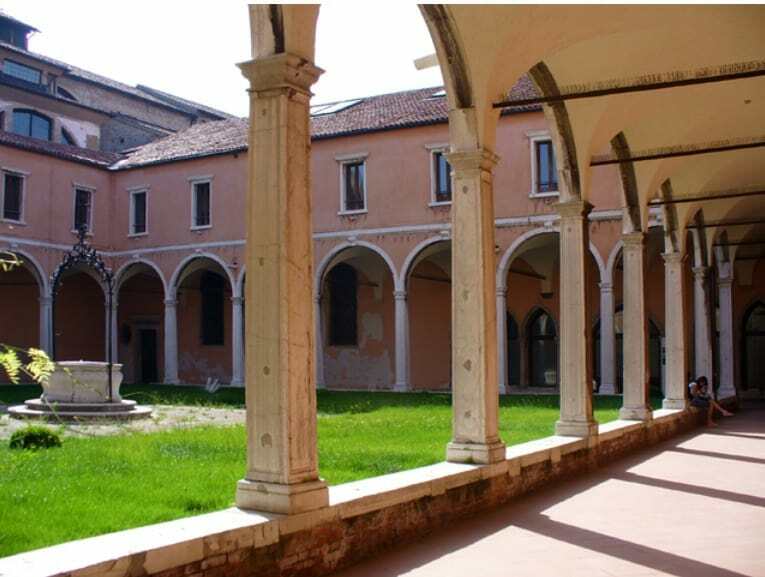 The finalist games will be exposed at the Istituto d’Arte Guggenheim of Venice that is at the ha la sua sede in the ancient convent of the Carmini, near Campo S.Margherita, a few minutes walk from Piazzale Roma and the Railway Station. After the great success of the 2010 edition, the notice of the Premio Archimede 2012 is already on-line! Premio Archimede is a biennial competition for unpublished games designed by non-professional authors. This manifestation is the 12th edition and its primary goal is to allow the authors to develop their experience and to compare with others authors and with the professionals of the jury; we are also encouraged by the exceptional results of the last edition. The authors are better and the number of the Prize’s games that are published, or are to be published, is always increasing! 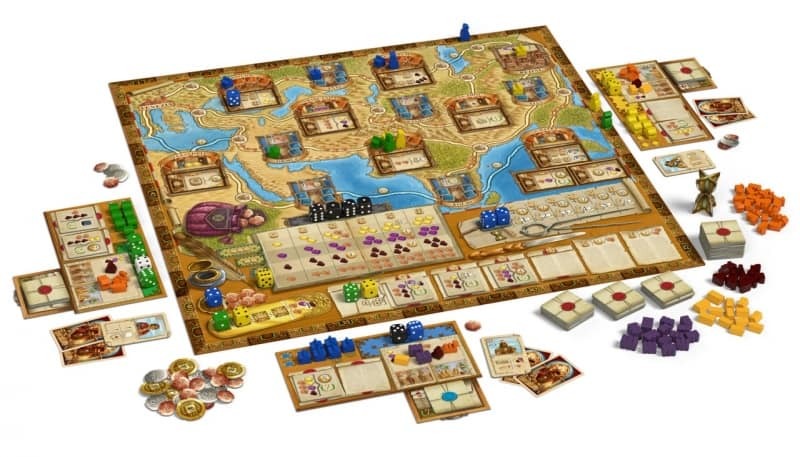 Concerning the 2010 Edition, there are already 6 games currently under contract and about to be released are: Aquileia (2010), Builders of Egypt (2010), Cacao (2010), Castles (2010), Crazy race (2010), Drop Site (2010). • The Prize will be dedicated to the great Alex Randolph, who was the president for the firsts 7 editions. • The Prize will have the patronage of the J.P. Halvah Foundation , established by Randolph himself and presided by Herbert Feuerstein. The foundation will offer a contribution of € 3.500 to the winners (to be spent within the 30 of April 2013) in the form of scholarships, stages, contribution for the publication, etc. • The Prize will have the collaboration of the Musée Suisse du Jeu (Swiss Museum of Games) that will organize an exhibition with all the finalist games. • The final ceremony will take place in 2012, September 29 in Venice (details to come in the next days). • There will be 2 juries: one responsible of the first selection and one responsible of the final votation. The president is again the Dutch Niek Neuwahl. • Besides the Archimede Prize, the jury will assign the Special Prize Sebastiano Izzo, the Carta Mundi Special Prize for the best card game and the Special Prize IDG for the best game entirely created by an author that never published one of his games. • All the finalists will receive many games offered by the publishers that sponsor the prize, and materials for the creation of new prototypes kindly offered from Spielmaterial.de. • The official Magazine of the event is Focus Brain Trainer. 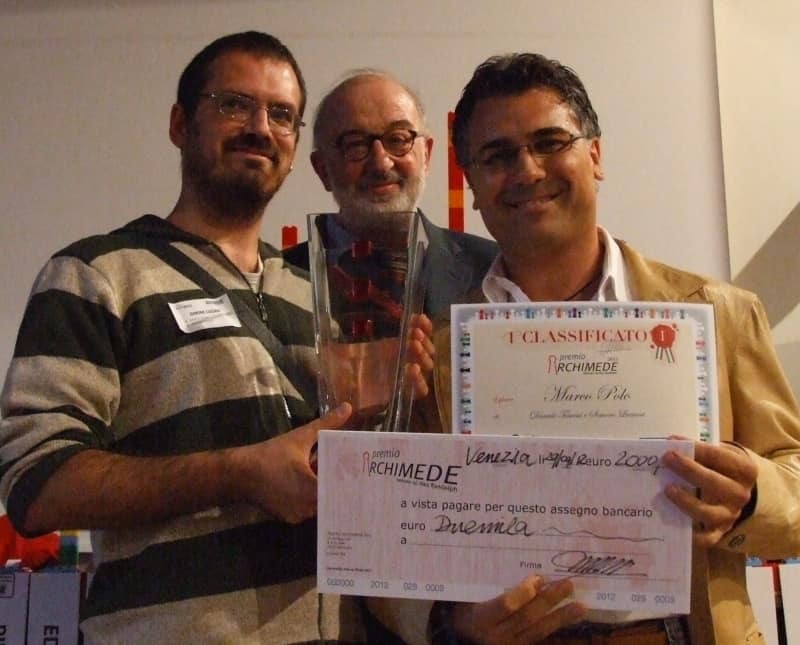 PREMIO ARCHIMEDE 2012, organized by studiogiochi, concerns the invention of unpublished board games. The Prize, dedicated to the great Alex Randolph, who was its President during the first seven editions, made the wishes of more than thirty authors come true thanks to the pubblication of their games. Great success and many good expectations from the past edition: so far six games are about to be published by the best international publishers. Everybody can participate, there are no age nor nationality limits. The authors can participate either as a single person or as a group. 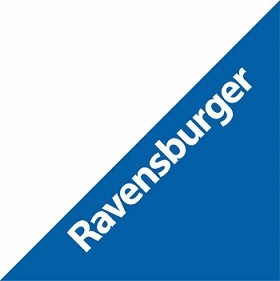 The Prize is supported by the patronage of the Comune di Venezia and the J.P. Halvah Foundation (founded by the very same Randolph and directed by Herbert Feuerstein who offers a support of €3.500 to the winners (to be spent within the 30 of April 2013), in form of scholarships, stages, contributions for the publication, etc. During this occasion there will be a commemoration of Alex Randolph. The official magazine for the competition is Focus Brain Trainer. The Prize is also supported by the cooperation of the Musée Suisse du Jeu (Swiss Museum of games) that will organize an exposition of the final games. All the associations that participate to the event will receive informations about the games competing and will be able to take a look at them. The authors are required to pay a participation fee of € 25 for each game, that must be sent with the prototype. This fee is ment to support part of the organization costs. The eventual costum charges must be payed by authors otherwise the game might be disqualified. Studiogiochi will have the right of first refusal on the finalist games (see the participation form). For the payment, please attach to the rules a nontransferable cheque to studiogiochi or else an international postal cheque. There will be a participation certificate for each admitted game, indicating the day of the presentation of the game. 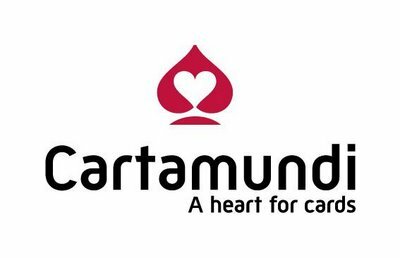 • Carta Mundi Special Prize for the best card game: the prize consists in 1.000 copies made by Carta Mundi for free. The game must be composed by one or two decks of cards only and it will be produced with its rules and its box. The graphics will be realized for free by ScriBabs. • Special Prize IDG for the best game entirely created by an author that never published one of his games. For the prototypes with more than one author, if one of them already published a game, they can’t be possible candidates. All the finalists will receive many games offered by the publishers that sponsor the prize, and materials for the creation of new prototypes kindly offered from Spielmaterial.de. All the games will need the requirements below. Without these requirements they won’t be allowed to the final. – Has to be original and unpublished. – Can’t last more than 90 minutes. – Have to be in Italian and/or English and printed. – Have to be easy to understand and exhaustive (including the indication of the contents of the material and the number of players). The jury must not have a hard time understanding them. It is advisable to use examples and figures. – Can’t be written in more than 10.000 characters. – Advice: Before you send the game, let it be played by the testers without giving any help explaining the rules, and observe how it works! That way you will know how to refine and perfection your rules and even your game. – Needs to be contained in a solid cardboard box similar to the games officially produced (gameboard included). The box has to be easy to open, but also well closed. It must be easy to carry, not too heavy and not bigger than approximately 40x30x10 cm. – It has to be functional. For instance the pawns have to be able to stand easily, the spaces have to be enough big, thee cards must not be too thin, the colours have to be easy to identify, etc. – the game should not depend on its language. If there is any text necessary it is adviced to use english so that the final jury is able to be indipendent. – It is not necessary for the game to be presented as a final version, the graphic aspect comes after its use. – The pieces of the game have to be wrapped separately in order to make it easy to get ready for the game. – If necessary, the board has to be folded to fit into the box. – The organization is not responsible for any loss or damage of the prototype during the event. On the box and on the rules there must be the name of the game, the name and surname of the authors, their full address, telephone number, and eventually e-mal address. The participation form has to be completely filled in and signed for each participating game. The authors may recollect their prototypes at the end of the final ceremony; all the non recollected prototypes won’t be returned. – Originality of the game mechanisms. – Playability, balance and functionality of the mechanisms. – Interaction of the players. – The possibility that the game will be taken into consideration from editors to be published. – Quality of the prototype. • the selection jury will assign special awards and choose the games admitted to the finals and among them the finalists. • the final jury will vote in front of the public, during the final ceremony, deciding the winners, for the Archimede Prize as well as for the Carta Mundi and IDG Prizes. Both groups will be joined by Fabrizio Berger, Giulia Franceschini, Giorgia Marchesin, Elisa Marzorati and Rossana Nardo for consultancy. Premio Archimede 2012 is organized by studiogiochi in collaboration with the J.P. Halvah Foundation and the Swiss Museum of Games. 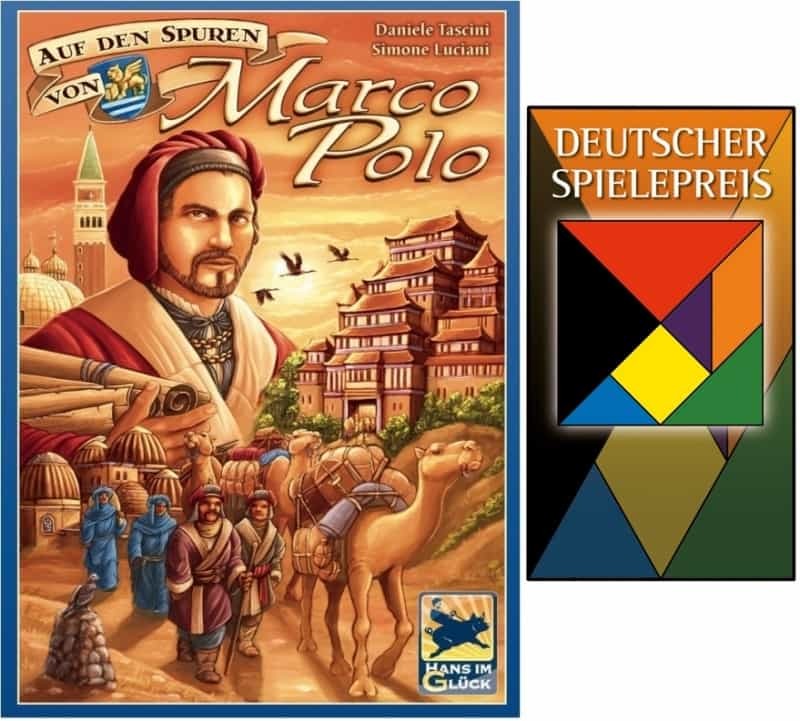 After winning the Premio Archimede 2012, Marco Polo has been published by Hans im Glück as Auf den Spuren von Marco Polo, and won the Deutscher Spiele Preis 2015! In this game, following the great explorer’s path, one has to conclude the most convinient contracts, using in the best way as he can the dice to choose his actions. The game Il Gioco di Nala, by Furio Honsell, Paolo Munini and Flavio Rigo, Special Prize Sebastiano Izzo at the Premio Archimede 2012, is becoming a real animation tool. Children as well as adults are attracted to it and want to play it. Basically one has to guess the amount of marbles are thrown on the board: the “protesters” have to say a higher number compared to the real one, the “policemen” a lower number. The winner is hoever guesses the closest… staying in its field. A sweet version has been proposed by Dario Zaccariotto during the recent Festa del Torrone 2012: the sweets were used instead of the marbles. 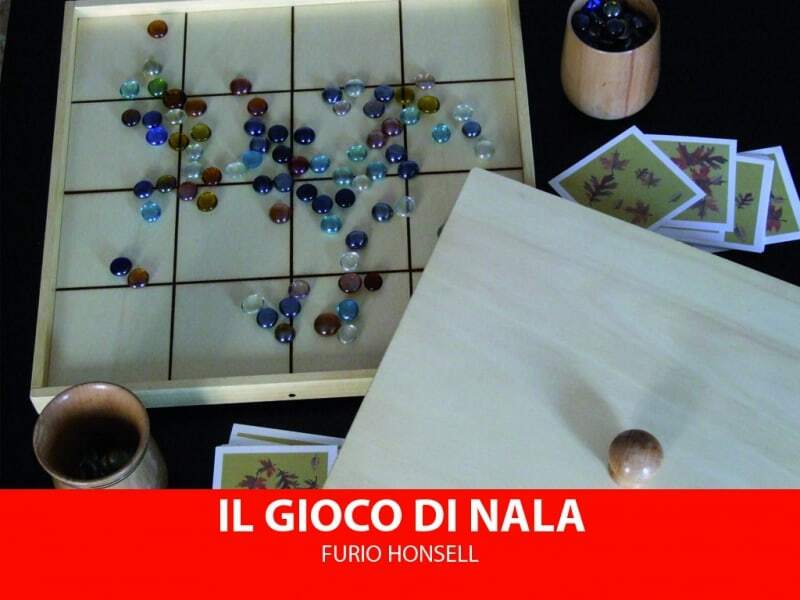 The Gioco di Nala has been requested also as evening pastime at a Congress of the association UISP; many people played at it and there has been a small tournament with a winner: Ideo Montanari won against the UISP president Erasmo Lesignoli. In the very last manche, Montanari declared in a few seconds as a “protester” 215 marbles, that at the end have been counted as 211. Very close and on the right side: well done Ideo, 1st UISP Champion of Nala! In other words I am more and more convinced that I made the right choise to assign to this game the Izzo Prize (this is a Prize I assign personally, a way to remember Sebastiano, choosing a game that in my opinion he would have liked playing): I am sure that we would have had a lot of fun playing this game together! And it pleased me very much to realize that Sebastiano hasn’t been frgotten by the world of games. At the very same Congress of the UISP association, Alessandro Pompa made a touching speech remembering him with great respect and admiration, since the 80’s, when he was working for Arci – Unione Giochi and at the legendary magazine Contromossa. Thank you Alessandro!